Smile Solutions is the largest and most experienced provider of Invisalign in Melbourne, performing the most number of cases each year. 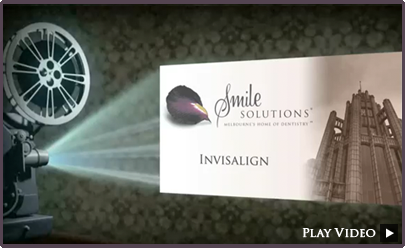 Smile Solutions – the largest and most experienced provider of Invisalign in Melbourne. 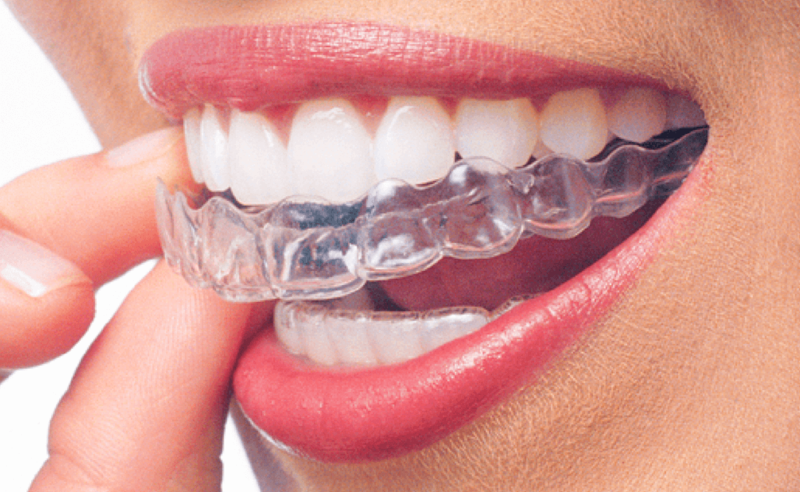 Invisalign is an orthodontic treatment comprising a series of clear aligners that are custom-designed and fitted to suit your orthodontic requirements. Your teeth are gradually moved into alignment by these aligners, which are changed every six to eight weeks, with your orthodontist overseeing, until your teeth are in the desired position. Invisalign is an aesthetically appealing orthodontic option for many people who don’t want the “train-track” look often associated with traditional braces. You can easily remove the aligners throughout your treatment in order to eat as normal, to brush and floss your teeth and for special occasions. Invisalign treatment is virtually undetectable by others, providing you with a discreet orthodontic treatment that achieves great results. The best way to get all the information is to book a complimentary consultation. We will assess your suitability and which Invisalign is right for you. You will receive a comprehensive quote and treatment plan and you’ll even get to see a projection of what your smile will look like at the end. Book your free consultation now by phoning 13 13 96. Invisalign can be used to correct bite problems such as overbite, underbite, crowding, crossbite and excessive spacing, leaving you with a straighter smile. The way in which your top and bottom teeth meet can affect how well you chew your food and how well you are able to clean your teeth. So, depending on the severity of your bite problem, your orthodontist may recommend a full set of Invisalign aligners or separate treatment on either the top or bottom row of teeth. When you come in for a consultation with one of our orthodontists, they will discuss the different treatment options available and assess which one will be most suitable for you, whether that’s Invisalign or an alternative orthodontic treatment. Visit our Is Invisalign suitable for me? page to find out more. There are different types of Invisalign treatments to suit different cases. 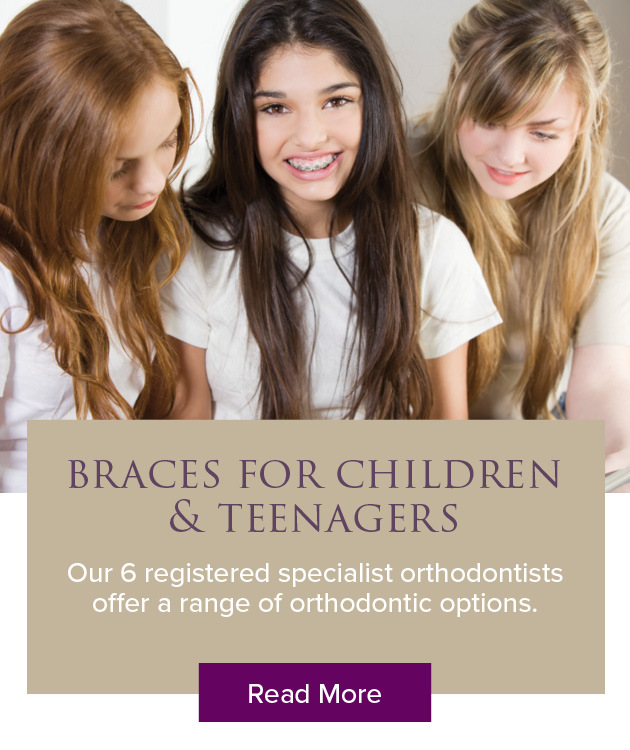 Your orthodontist will assess which one is suited to your needs. A maximum of 14 aligners that deliver a moderate change, Lite is best suited to cases that require limited tooth movement and people who have had a relapse after braces fitted at a younger age. An average of 25 aligners, delivering the ultimate results. This type includes only 7 aligners and is best suited to patients with very mild movement requirements. A discreet way for teenagers to get straighter teeth with two added benefits: wear indicators to check usage; and additional replacements in case an aligner is lost. Invisalign aligners will move your teeth into the desired position. Before treatment begins, your orthodontist can show you a projection of how your teeth will look at the end of treatment. To see how effective Invisalign has been for others, visit our Invisalign results gallery. Invisalign is a modern breakthrough in orthodontics with many advantages over conventional braces. Probably the number one reason Invisalign is a favourite alternative to braces is the fact that the aligners are clear and therefore very hard to see. A lot of people who want straighter teeth are put off by the appearance of conventional metal braces, making Invisalign much more appealing. As well as being nearly invisible, Invisalign is also a comfortable and less bulky orthodontic treatment, without the need for metal brackets and wires. Another benefit of choosing Invisalign is that the aligners are removable. This makes it easier to look after your oral hygiene during treatment; you can still brush and floss as you normally would – just take the aligners out when you need to clean your teeth. The same is true for eating and drinking: because you can remove Invisalign, the treatment does not stop you eating particular foods. Even those who have had other orthodontic treatment that they are not happy with, or those whose teeth have moved since other treatments, are eligible for Invisalign. The length of your Invisalign treatment can depend on the severity of your bite abnormality and how much correction is needed, but on average the treatment takes 12 to 18 months. Your orthodontist will provide you with a full treatment outline that will estimate an approximate timeframe for your individual treatment. As with all orthodontics, you will need to have appointments with your orthodontist every six to eight weeks so they can check your progress and fit your new set of aligners. Invisalign aligners are very easy to use. To insert an aligner, you gently push it over your front teeth, then use a fingertip to push against the tops of your back teeth until the aligner clicks into place. To remove your aligners, start on one side at the back teeth and gently tug the aligner free with your fingertip. You need to wear your aligners for a minimum of 22 hours per day. They should only be removed when you are eating, drinking or cleaning your teeth. You can also remove them for special social events, but we don’t recommend you do this often. If worn for less than 22 hours, you’ll need to wear the aligners over a longer period to compensate, thus increasing the length of your treatment. The effectiveness of Invisalign is dependent on patient compliance. It is up to you to make sure you wear your aligners for the specified amount of time, so the treatment is not particularly suited to patients without the necessary personal discipline. On completion of your Invisalign treatment you will need retainers to ensure that your teeth do not move out of place. Your orthodontist will advise you on how often your retainers need to be worn. With fewer nooks and crevices for bacteria to hide in, Invisalign is a more hygienic option than traditional braces. The convenience of being able to remove the aligners means you will find it easier to keep them clean. We recommend that you clean your aligners, using cold water and a toothbrush (without toothpaste), before each insertion. Soaking aligners in cool water and white vinegar will remove any stains or debris, and using Retainer Brite will help. Rinse them thoroughly in cold water before reinserting. It is best to clean your aligners while they are out during mealtimes, to avoid extra time out of the mouth. Do not use warm or hot water, denture cleaners or mouthwash, as any of these will distort the aligners. When taking your aligners out to eat or drink, remember to store them in the protective box provided to stop them getting dirty. Avoid placing them in tissues or your pockets; otherwise you might accidentally damage or discard them. The cost of Invisalign treatment will be tailored to your individual needs. Following your consultation with one of our specialist orthodontists, you will receive a comprehensive quote detailing all anticipated costs before proceeding. You will therefore be completely aware of fees for all treatment, appointments and aligners for the duration of your Invisalign experience. Click here to find out more about fees and payment options. Who Provides Treatment with Invisalign? At Smile Solutions your Invisalign treatment will be carried out by one of our registered specialist orthodontists, not a general dentist. Specialist orthodontists complete a postgraduate university degree specialising in tooth and jaw correction and these are the clinicians who will assess your suitability for Invisalign and perform your treatment. You can have complete confidence in the care you receive and the final outcome. 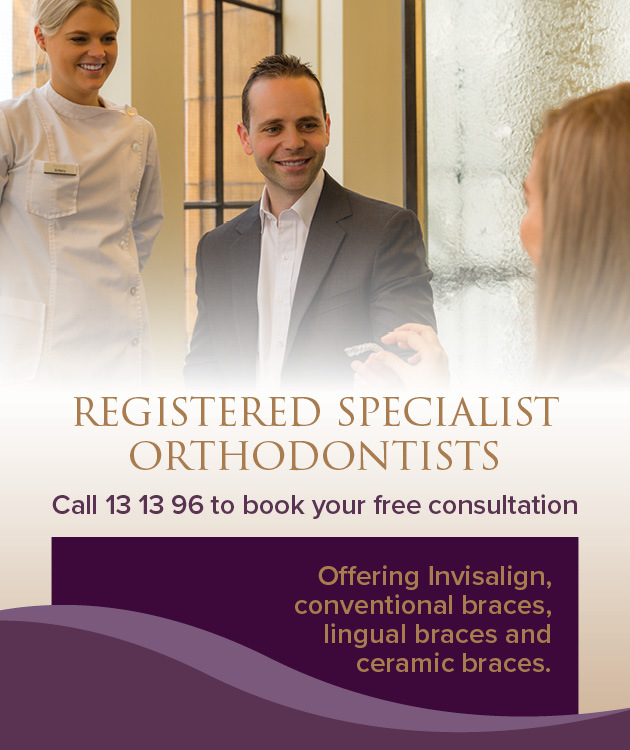 Smile Solutions is the only certified Blue Diamond Invisalign provider in Melbourne. This is the highest provider status awarded by the manufacturers of Invisalign and recognises our unsurpassed experience and expertise in performing Invisalign treatments – your assurance that we know what we are doing. We are the only provider in Australia to have achieved Blue Diamond Status for two consecutive years, obtaining the status in 2016 and 2017. Why Choose Smile Solutions for invisalign in Melbourne? The large scale of the Smile Solutions practice allows us to afford the best technological tools available to our industry. Our intraoral scanners will quickly and cleanly scan your mouth to assist us in working out your treatment requirements. In this way we can preview your projected smile so you can visualise the end result before you start. The iTero scanner means no messy impressions and moulds, greater accuracy and fit of aligners and a faster turnaround time. During your treatment you will also enjoy some of the best views of Melbourne from the peak of the lovingly restored orthodontic tower in the centrally located Manchester Unity Building. Finally, we offer extended hours and weekend appointments to suit your lifestyle, so you can come in for your Invisalign appointments at a time that suits you. At Smile Solutions your treatment will be carried out by one of our registered specialist orthodontists, not a general dentist. Specialist orthodontists complete a university postgraduate degree specialising in tooth and jaw correction and these specialists will assess your suitability for Invisalign and perform your treatment. You can have complete confidence in the care you receive and the final outcome. Following your free consultation with your treatment coordinator, you will receive a comprehensive quote detailing all anticipated costs before proceeding so you are completely aware of fees for all treatment, appointments and aligners for the duration of your Invisalign treatment. We offer a choice of payment methods including a no deposit, interest free payment plan taking the pressure off affordability when making a big change in your life. Smile Solutions will also price match any written quote for identical treatment prescribed by an Australian Dental Board-registered specialist orthodontist.